Mr. John Maretti is the founder and President of the North Valley Animal Disaster Group. He is recently retired from the City of Chico Fire Department where he worked for 30 years. In 2002, John founded the North Valley Animal Disaster Group in Northern California which Butte County has adopted as their recognized County Animal Response Team. Currently they have over 200 highly trained active volunteers capable of sheltering and evacuating animals during disasters. They also have a highly trained Technical Rescue Team. Because of the team’s professionalism and high skill-set, they have been embraced by local emergency services. As part of the Emergency Response Network with the International Fund for Animal Welfare, North Valley Animal Disaster Group volunteers have travelled internationally to assist training locals in animal disaster management in India, Philippines, Indonesia, and Africa, as well as responding to national dog fighting and hoarding cases as well as the Nepal Earthquake, Mt. Agung Volcano in Indonesia, and others. The last several years have been extremely busy as the North Valley Animal Disaster Group has responded to numerous local fires locally including the Humboldt Fire, Swedes Fire, Ponderosa Fire, Valley Fire, Carr Fire, Mendocino Complex, as well as the 2017 Oroville Dam Spillway incident. The North Valley Animal Disaster Group is a non-profit organization that depends on donations to help those in need. Mr. Dino Corbin is Partner and General Manager for Deer Creek Broadcasting in Chico. Mr. Corbin’s strong family values motivate his primary directive, which is to use his talents along with his personal time to do good things for our community, and he believes that good things will always follow. Proof of that belief is his service in well over 20 organizations benefitting our community, including The Exchange Club, Rotary Club, Butte-Glenn Heart Association, United Way, Chamber of Commerce, Concour de Elegance, the Chico Antique Airshow, the Stansbury Home Preservation Association, and Muscular Dystrophy Association Telethon Host for 20 years, just to name a few. He is also currently a member of the Beale AFB Military Liaison Council and Honorary Liaison Commander of the 195th AF Reserve Squadron, and a retired Butte County Sheriff Deputy. Mr. Corbin has received the California Broadcaster of the Year, Chico Icon Award, CSUC Distinguished Alumni of the Year Award, Muscular Dystrophy Association Man of the Year, and the National Exchange Club’s Highest Honor, the Book of Gold Deeds Award. A few of Mr. Corbin’s hobbies include Military Jet Aviation photography and antique military aviation, as well as the Spanish guitar. Dr. Kathleen Kaiser was born in Jacksonville, Florida in 1946 as part of the first wave of baby boomers. She was the eldest of six kids and the only girl. She was the ultimate tomboy and competed as a swimmer in high school. She was the first in her family to attend college. She graduated from Florida State University then went on to receive a full scholarship to Duke University where she earned her PhD in Sociology. 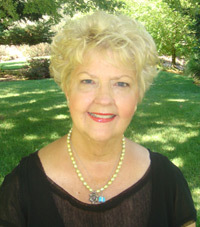 In 1972, Kathleen moved to Chico to teach Sociology at the University. In the 70’s. She traveled the north state and California giving presentations and trainings on women’s issues for the Women’s Leadership Taskforce Consortium of the CSU, UC and Community Colleges. In the 80’s as a young professor, Kathleen became an assistant coach for the CSUC women’s running team in cross-country and track. She found working with student athletes was the most intense and rewarding mentoring experience of her career. She trained as a nationally ranked marathoner, representing CSU, Chico at the Boston Marathon. She traveled around the north state and California competing in triathlons and setting records at the Bidwell Classic. Kathleen represented her Department first at the local Academic Senate, and then was elected to represent CSU, Chico at the Statewide Academic Senate where she played many significant roles developing education policy. During her time as a Senator she was appointed by the governor as the first female Faculty Trustee for a two year term. She received awards for outstanding performance in Academic Advising, where she excelled at mentoring students. She also received recognition for Outstanding Faculty Service, Outstanding Senate Service and Outstanding California State University Faculty Board Trustee. She is currently a CSU Emeritus Professor and Emeritus Faculty Trustee. She is also currently serving her third term as an elected trustee for the Chico Unified School District Board. Her travels to the Wonders of the World included serving aboard the CSU Golden Bear as a CSU Trustee; traveling from Japan to Saipan where she attended a WWII Anniversary event then to the Midway Islands. The cruise ended in Hawaii where she participating in a rescue and docking training with US and international cadets. With the US Navy program honoring educators, Kathleen boarded the USS Harry S. Truman at sea and became an official Tailhooker. She also traveled to China as part of an International Educators Program touring various schools and looking for ways to increase student exchanges between the two countries. As an esteemed educator she was invited to participate in Oxford, England as a member of the Oxford Round Table. Kathleen has personally traveled to Alaska, Ireland, France, England, Scotland and Mexico. She hopes to go to Africa and New Zealand in the near future. Kathleen is married to her partner of 32 years and has three stepsons, seven grandchildren and three great grandchildren. Chico has been her home of choice for 44 years. She has coached for CARD youth sports programs and volunteered for Chico Velo for over 20 years. She is currently a board member for Chico Cheer All-Stars. Kathleen hopes to continue making Chico a wonderful place for families. We salute Dr. Kathleen Kaiser as the Grand Marshal for the 2015 Chico Parade of Lights! We are honored to recognize Mr. Wendell J. Lundberg as the 2015 Chico Parade of Lights’ Grand Marshal. Mr. Lundberg was born August 17, 1930 in Holdridge, Nebraska, the second of four sons born to Albert and Frances Lundberg. In 1937, Wendell and brothers Eldon, Homer and Harlan moved with their parents to Richvale, California. After graduating from Biggs High School in 1948, Wendell attended UC Davis, where he completed a two-year course in agronomy. At Davis he was one of the founding members of the Cal-Aggie Flying Farmers Club, learning to fly at age 19 and igniting a passion for aviation that persists to this day. In 1950, Wendell transferred to California State University, Chico, where he earned a degree in education. After graduation, Wendell traveled to Australia to manage a rice experiment in Darwin, Northern Territory. This began a lifelong love of world travel that took Wendell to Africa, Europe, and South America, among other destinations. He returned to Richvale in 1955 to farm rice with his father and brothers. In 1969, Wendell and his three brothers built a small rice mill in Richvale and started milling the rice they grew on their farm. They also launched a catfish hatchery, which Wendell managed. In 1974, Wendell joined ten other local businessmen to found TriCounties Bank, which eventually grew to 62 branches in 23 California counties. Wendell served as a director of the bank until his retirement from the Board in 2007; he currently serves as a Director Emeritus. Wendell was awarded an Honorary Doctorate from California State University, Chico in June of 2013. In addition to swimming and biking, Wendell is an experienced aviator, logging thousands of hours at the controls. In recent years, Wendell has gradually phased out of day-to-day operations at Lundberg Family Farms, ceding that responsibility to the family’s third generation of rice farmers. Wendell will often be seen driving around the rice fields in his Jeep with his dog Sara. Wendell and Carolyn have been married for 44 years and they live in Chico. They have three children, Joe, Jessica and Alysicia and four grandchildren, Rebecca, Alexandrea, Ivan and Maxine. Long active in various rice industry and community organizations, Wendell continues to be an outspoken advocate of sustainable agriculture and an avid supporter of numerous local organizations and charitable causes. We salute Mr. Wendell Lundberg as the Grand Marshal for the 2015 Chico Parade of Lights! We are honored to recognize Mr. Matthew Jackson as the 2014 Chico Parade of Lights’ Grand Marshal. Matt has been married to the love of his life, Billie Jackson for over 43 years. They have two kids who are now successful professional adults. Their son, Matt Jackson Jr. is the Planning Manager of City of Bellevue, Washington. Their daughter, Joy Jones, is the Vice-President of Associated Press. Matt is a published poet and author of several articles and essays. Mr. Jackson received his Bachelor of Arts in English at CSU, Chico in 1972, and continued his studies in the Master’s program in Public Administration. He then attended Berne University and finally completed a certification at Harvard University Institute for Higher Education Management in 1998. Currently, Matt is the Principal of MJ Management Solutions Consulting. He is a retired Vice-President for Instruction and Student Services at Butte College. He has served Butte College as Associate Dean of Student Services, Associate Dean of Instruction, Coordinator of Student Activities. From 1974-1982 Mr. Jackson taught English, Public Speaking, African American Studies, Political Science, and African American Literature at Butte College, and California State University, Chico. Mr. Jackson’s service is extensive. He was the President of the California Community Colleges Chief Instructional Officers Association; president of the California Community Colleges Student Services Officers Association; president of the California Community Colleges Student Affairs Association. Member of the Board of Directors of University Advisory Board at California State University, Chico. We salute Mr. Matt Jackson as the Grand Marshal for the 2014 Chico Parade of Lights! Judy Sitton is a retired Co-Founder and was Executive Vice President of the software company, SunGard Bi-Tech. She also taught elementary school in the Chico Unified School District for 10 years. Judy is involved as a volunteer in a number of organizations. She is the Vice Chair of the Enloe Medical Center Board of Trustees and has served on the Gateway Science Museum’s Community Advisory Board for 12 years; a number of those as President. She is a member of the CSU, Chico Leaders’ Honor Society and was part of SIFE and the University Advisory Board. Judy earned a Bachelor of Arts in Social Science in 1968; a lifetime teaching credential in 1969; and, an Honorary Doctorate of Humane Letters in 2003 – all from California State University, Chico. She is currently completing her 10th year of service on the Enloe Medical Center Board of Trustees where she continues to participate as the Chair of the Planetree Leadership Team and on other board committees. Judy is known for her support of many community organizations and has received numerous awards and recognitions both local and national. Along with volunteer work, Judy spends lots of time with her family and particularly enjoys her grandson’s local school and sports’ activities. Thank you, Dr. Sitton, for all you and your family do for our community!